L’il Engineer Kits | Brooklyn Peddler | Fine railroad novelty items and other fun things including the best wooden train whistle made! 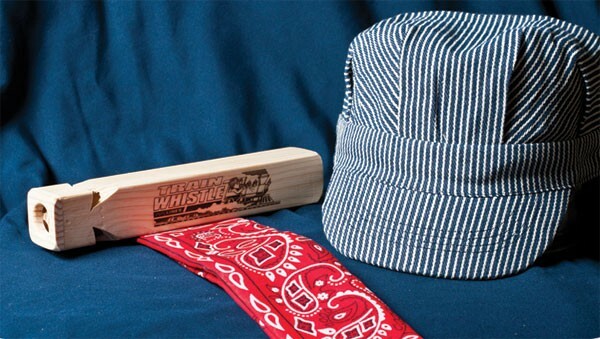 We’ve combined three of our most popular items – a train whistle, an engineer hat and a bandanna – into one neat package – bagged and headed, ready for your peg board display or shelf. Perfect souvenir gifts for boy or girl “engineers” or kids parties. Available in blue or pink.